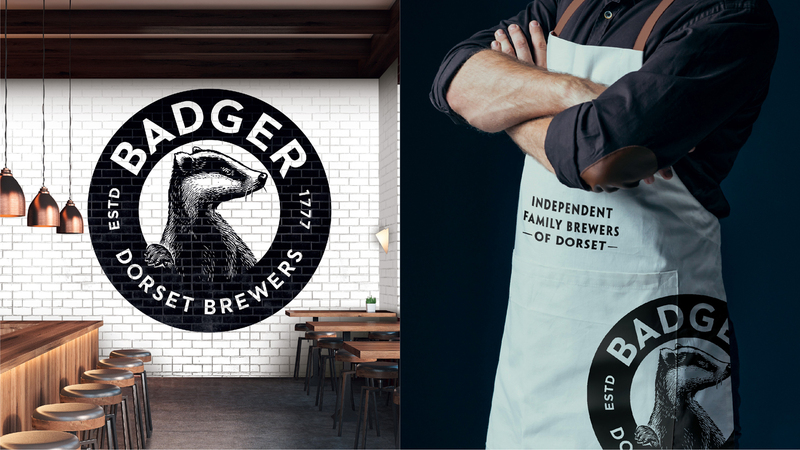 Proudly celebrating seven generations and two and a half centuries of being a local, independent family brewer, Badger Ales has undergone a strategic brand redesign with the help of long-term agency partner BrandOpus. 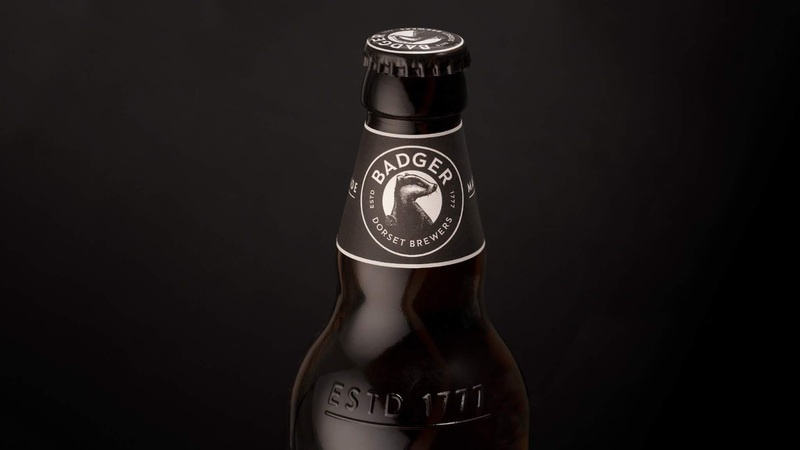 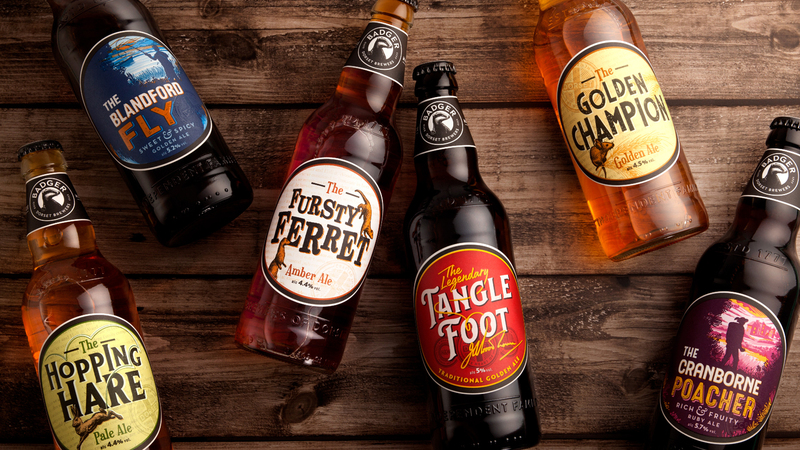 Badger Ales owned by Hall & Woodhouse have been independently brewing characterful ales from their home in rural Dorset. 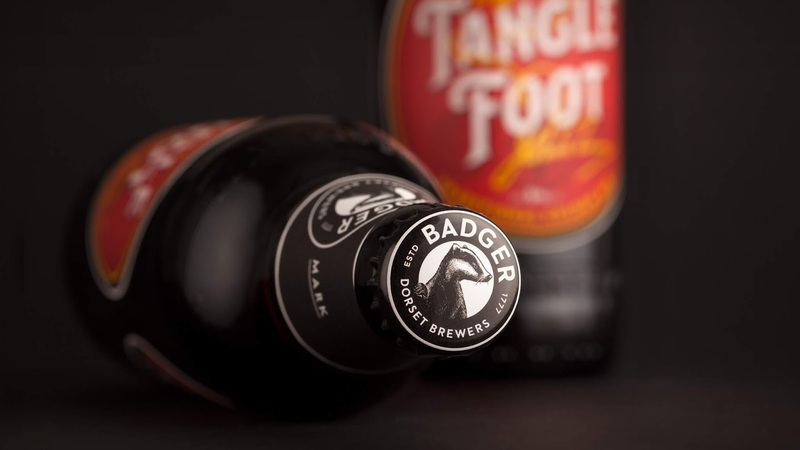 With over 240 years of craft, mythical legends and plenty of colourful tales Badger wanted to celebrate their roots and bring their local heritage to life. 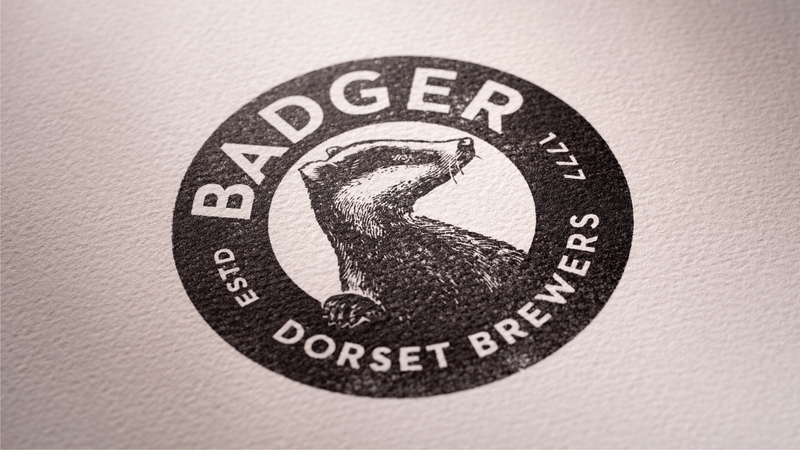 To reflect Badger’s unique story more directly, we reframed and elevated the Badger identity as the stamp of a local independent brewer. 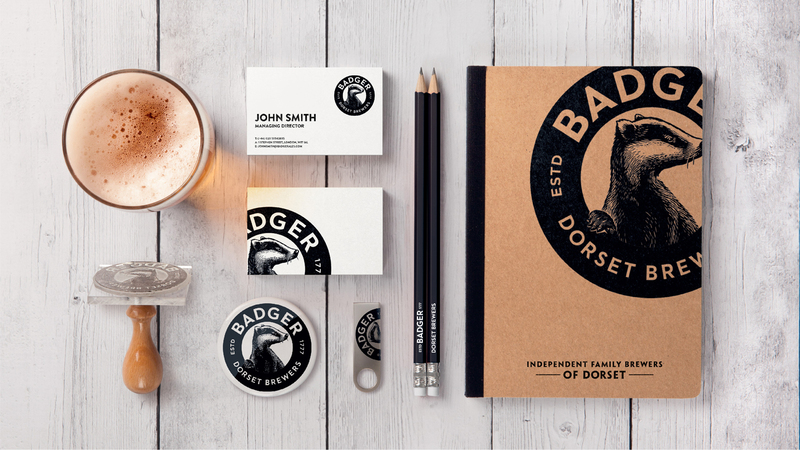 The new monochrome mark features a Badger inspired by Hall & Woodhouse’s history and retains the iconic feel of the previous logotype. 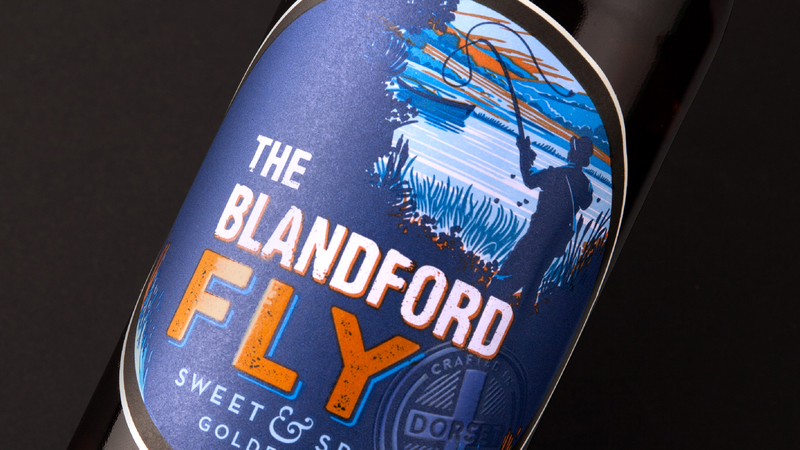 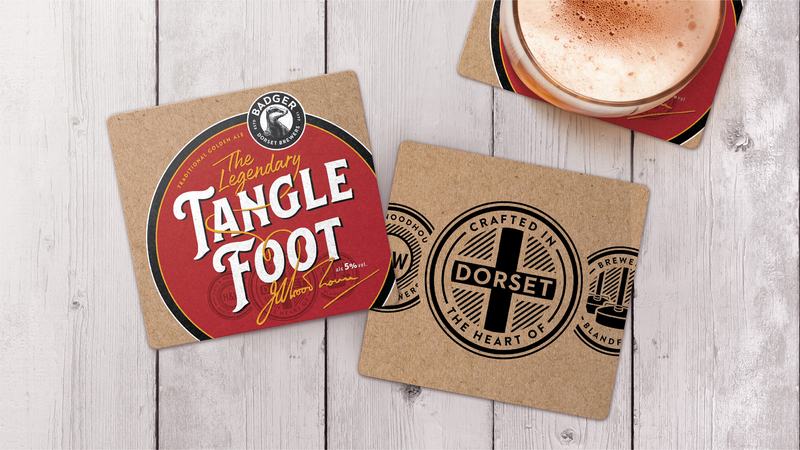 Through hand-crafted illustration each indivdual ale tells a rural Dorset story for which Badger is renowned, from the legendary Tanglefoot to the Blandford Fly.